How Do I Check My Website Ranking? Having the ability to check your website ranking is a very important aspect of building your online business. Information is power! The goal is always to make it to the first page of Google. But, do not forget that is is also important to submit your pages and know your ranking in Bing and Yahoo as well. Website ranking is the particular position in which a website appears in the search engine results. This means when a user searches for a specific set of keywords, websites that have targeted those specific keywords will appear in the search engine results in the order in which they are ranked by the search engine. Search Engine Optimization is an important part of how your website is ranked. Doing the proper SEO can lead to higher website rankings in the search engines. 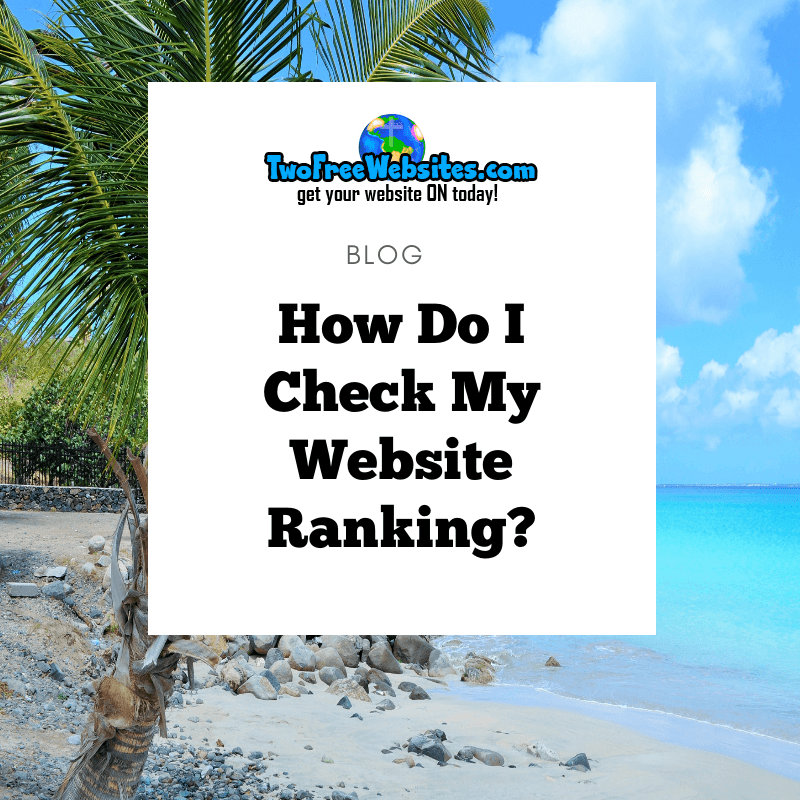 So, How Do I Check My Website Ranking? I would like to share with you how I check my website ranking. I like to us a program called JAAXY for this. JAAXY is one of the world’s most advanced keyword search tools for internet marketers everywhere. JAAXY also has a site ranking tool built into it. This site ranking tool provides an easy way to enter your keywords to find out your website ranking for those specific targeted keywords on Google, Bing and Yahoo search engines. Instead of simply telling you about website ranking, I would also like to show you. Let’s Learn About How The Pros Check Their Rankings, Shall We? Below is the homepage of JAAXY. This is where you can either Sign Up for a free account or log in if you already have an account. You can sign up for JAAXY and get 30 free keyword searches without even having to break out your credit card. Once you either sign up or log in, you will be directed to the JAAXY dashboard which offers you a variety of features. You will notice on the main page of the dashboard the many different things that you can do within JAAXY to help you with your website ranking. I use the Keywords feature when trying to find the best keywords to us for my posts. I do this on a daily basis and enjoy searching for the best keywords so much! I also use the Site Rank feature across the top for checking my Site Rank. This is fun to do also and even more exciting when your pages are ranking on the first ten pages of Google, Bing or Yahoo! If you would like to learn more about using JAAXY to find the most effective keywords, you can read all about that here. In this post, I want to show you the Site Rank Tool within JAAXY. It is so much fun to check the ranking of your posts within your website! Click on the words Site Rank as shown in the above image. In the above photo, you will see that I searched for my targeted keywords which are How To Avoid The Affiliate Marketing Scams. After that, I enter the name of my website which is the website that you are currently on… twofreewebsites.com. When I click search, JAAXY will search the first ten pages to see if my website is ranked in Google, Bing or Yahoo within the first 10 pages. Sometimes you will search and your website will not appear but do not worry, some times your posts will take longer to get ranked on the first 10 pages due to the volume of competition. 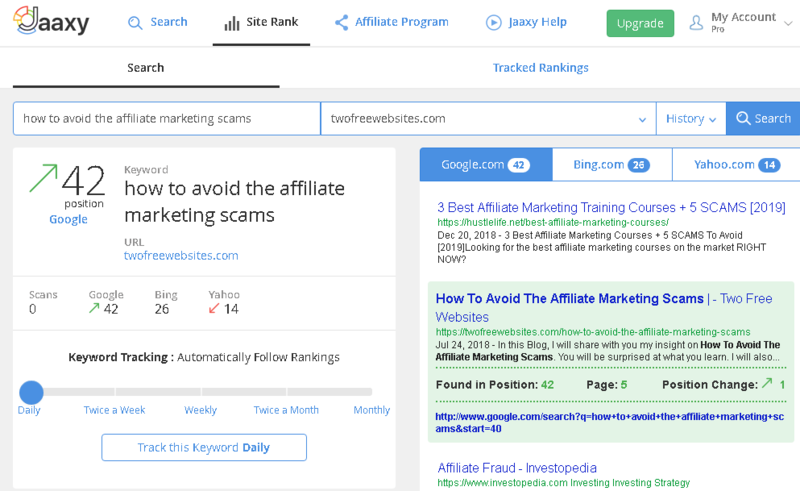 As you can see above, twofreewebites.com is ranked for How To Avoid The Affiliate Marketing Scams in Google, Bing and Yahoo which I am very pleased with. On Google, twofreewebsites.com is found in position 42 on page 5 and it has just gone up a position by 1. On Bing, my website is ranked in position 26 and it went down to position 14 on Yahoo. You can click on the Google Bing or Yahoo tabs to find out more detailed information about your ranking. I don’t know about you but it is am amazing feeling when your website ranks. It shows that all of your hard work is paying off! There is an extra special feeling of satisfaction when Google, Bing and Yahoo see your pages!! Monitoring your website rankings can really be exciting and encouraging. Don’t be discouraged if your website is not on the first 10 pages of Google, Bing or Yahoo immediately. As long as you have implemented the correct SEO techniques, you have nothing to worry about. It typically an take 3 months to a year to see results with your online business. It greatly depend on you consistency of posts and how much time and effort you put into it. I have been dreaming about having my own online business since 2015 which is when I discovered Wealthy Affiliate. I am so thankful for the training, mentors and opportunity with WA. I am constantly learning and evolving. I am learning from experts who are in a position that I want to be in. I am working towards those goals. I worked at a full-time 8 to 5 job during those years and only had the time to work on my website on my lunch breaks which was not a lot of time. In the evenings and on weekends, I was always busy with my son. He is a teenager now and does not need much of my time. I am sure those of you with teenagers can certainly relate. Now I am in a position to be working on my online business full time. I could not be happier. I am loving my lifestyle and my work! I enjoy every aspect of developing my business online. I would like to help you do the same. Having your own online business is an achievable dream with dedication and perseverance. I like sharing my story with all of you in hopes that you will find inspiration in it. I am available to help you along your journey if you need it. Please post a comment below if you have any questions or comments about this post or even about your goals for the future. LIVE YOUR BEST LIFE AND DON’T STOP! Jaaxy is a great tool. It was really simple & easy to use starting out as a newbie online. And I LOVE the Wealthy Affiliate community! I loved being able to jump right into the training, network with top-ranking, already successful members, & literally learn how everything works & put it into action without being asked for my credit card. I gained a ton of knowledge & all I had to do was show up, watch, & learn. Angela, I totally agree with you! We are so lucky to be learning from the experts at Wealthy Affiliate. Shadowing a mentor that is in a position of where you want to be is definitely the right track to success! Best wishes to you! 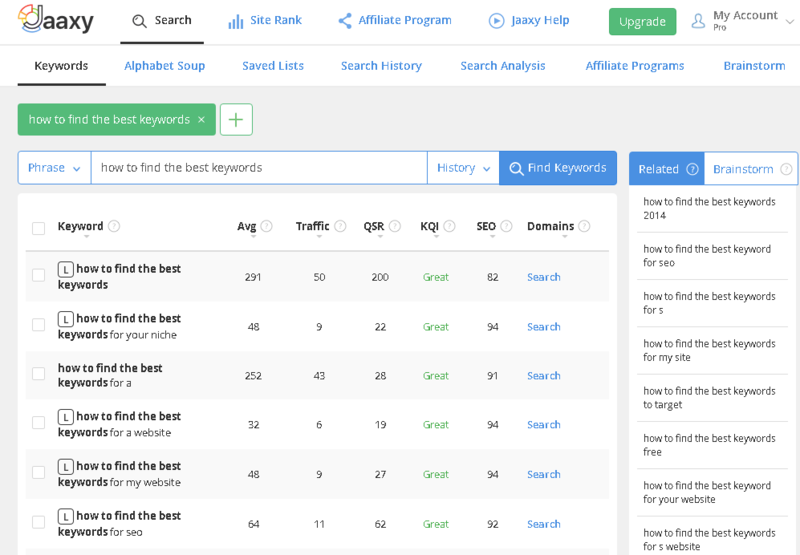 The Jaaxy keyword research tool is simply great. It’s straightforward to use and self-explaining. I love monitoring my website pages. I am not the best in SEO, and my web is entirely new, but I am ranking for few keywords in 3rd and 4th pages already. It’s great to see the ranking progress. Jaxxy can help you to understand your competitors as well. 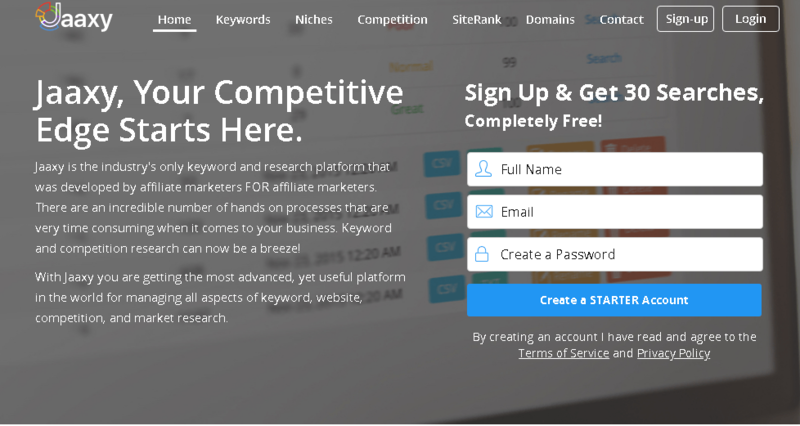 Compare to other keyword research tools, Jaaxy covers around 99% of all keywords. This tool is especially suitable for affiliate marketers! I love to use Jaaxy, and I can highly recommend this tool to anyone! Thank you for sharing your detailed post about how to check the website ranking! Halyna, Google page 3 and 4 ranking is awesome! Keep up the good work! Yes! I love tracking my ranking in JAAXY. It is not only fun to do but it keeps me informed on my progress! Excellent post. Most people dont understand the importance of keyword research and ranking. Well put together. Thank you so much for your comment and compliment on the post! Yes, keyword research and ranking is critical in order to drive traffic to your site. Otherwise, no one will see it!! “I love your photo”..you can delete this part of comment… but this so great photo…The babassu palm..and this beach… I can imagine myself on this beach..yes..Where is this place? I am a premium member of the Wealthy Affiliate Academy for more than two years. And if I have to choose two very important tools then one of them is definitely Jaaxy. Since we know that the content is king. Then for each good content is essential keyword selection. Jaaxy will speed up your research for ideal keywords, and as a reward for your hard work comes a good SERP ranking. With Jaaxy you can easily check the ranking of your posts. Jaaxy is included in premium membership.If you take a yearly premium membership( $359), it’s less than $1 a day, so it’s a really amazing price. Leo, Thank you so much for your compliment! The photo is from someplace in the Caribbean. It is my dream to live there one day! Congrats on being a premium member of Wealthy Affiliate! I have been a premium member since 2015 and I am just now giving it my full attention and the time that my business deserves! Yes, JAAXY has been a lifesaver and I use it every single day before I write my articles and of course to check my site ranking! I really like the way you have presented the facts about Jaaxy. I use it too and find it to be a most valuable resource. It is so easy to use and gives very comprehensive detail. I liked your banner ad for Wealthy Affiliate too. Judy, Thank you so much for the comment and the compliment! I am glad that you like my banner for Wealthy Affiliate. Joining Wealthy Affiliate and also using JAAXY have been very life changing for me! I use JAAXY every single day to check my site ranking and for keyword research.